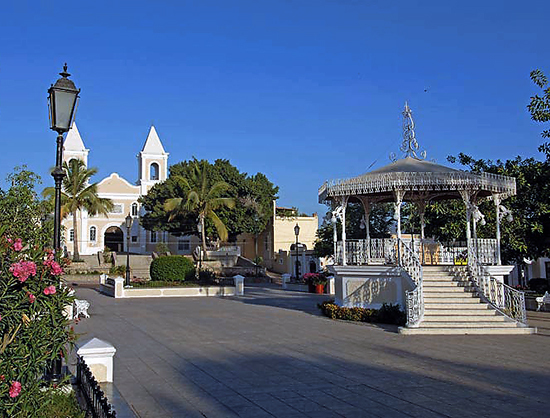 San Jose del Cabo Mijares Square, known as La Plaza by locals, is a gathering point for residents and tourists. 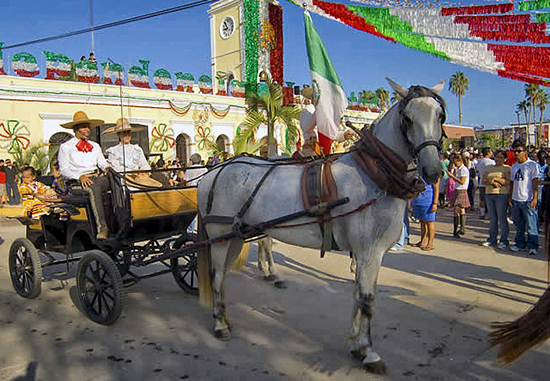 Located in the heart of the town's Historic District, The Square is surrounded by historic buildings like the City Hall, San Jose Church and the Casa de La Cultura; full of not to be missed spots such as the Kiosk, the Flagpole and the Jardin de Cabeños Ilustres and circled by restaurants and stores. As most of the squares in the country it was established as the continuation of the church's atrium, a gathering space for churchgoers to meet before and after mass. Its original area spanned from the block delimited by Hidalgo and Zaragoza Streets and was separated from La Calle Ancha, known today as Blvd. 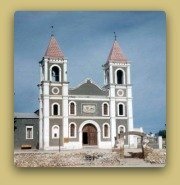 Mijares, by the town's first school. 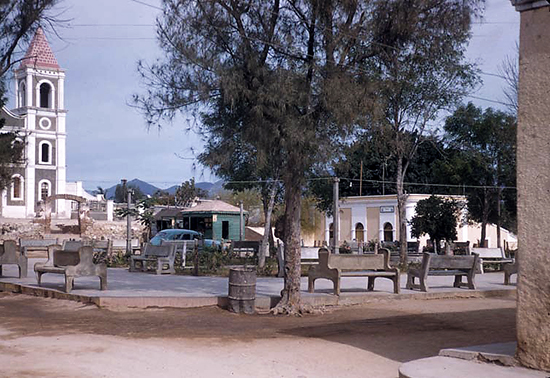 Around the beginning of the 20th Century a few commercial stands settled in the square but by the 1940's were removed by the local government. By the time FONATUR began planning the tourist destination launching, in the 1970's, the school building had been replaced with a modern construction that housed several government offices and the end of La Calle Ancha had been closed to traffic and converted into a garden that was named Jardin Mijares. A bust of Lt. Mijares was built in the place where he fell fatally injured by the U.S. army during the Mexican-American War at the end of the 1840's. FONATUR renovated the City Hall Façade but otherwise left the Historic District untouched. The Federal Government considered the town as it was an important tourist attraction. Unfortunately local governments and building owners did not understand this aspect and many original buildings of the area were transformed when renovated and lost their original charm. 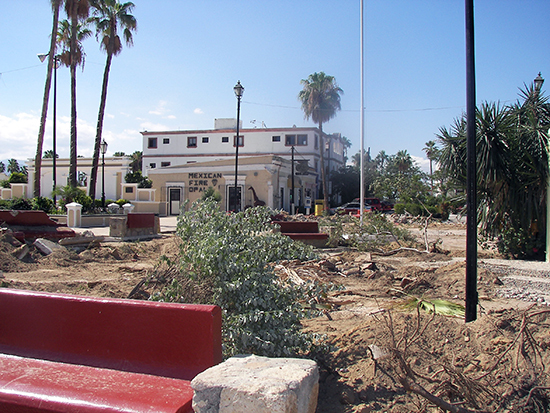 In 2000 the local Government demolished the building that divided the Plaza and Jardin Mijares and both places were united into San Jose del Cabo Mijares Square. 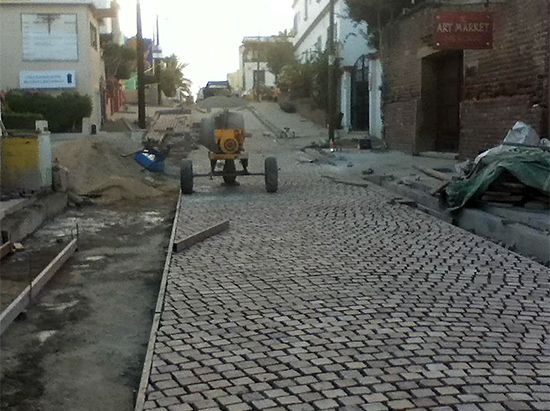 As the area remained the same except for the removal of the buildings and the construction of an open air theater the remodeling was well accepted by the locals. 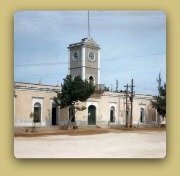 In 2007 a new major with higher political aspirations, decided to remodel the square again. Local businessmen, architects, historians and regular people did not felt there was really a need to do so. Without consulting anybody he went ahead with the project and on July 9 2007 the town woke up to the sight of bulldozers demolishing everything, nothing but the kiosk was left. The merchants were told to close their businesses for the next 3 months because there was no plan to leave an access to their premises. It was a traumatizing experience not only for the area merchants but for the society as a whole. The project did not consider the town's history or architectural style; it was poorly accomplished and it was never finished; benches, proper illumination and trash cans were missing. Corruption cases related to the plaza's remodeling were accounted at the local press and the ex-Major is currently on trial for peculation. As an aftermath the Historic District Merchants Association was created with the support of the state government and from then on it became an interlocutor between merchants and the different government levels. The Association successfully gathered founds from local families and bought benches and trash cans for the square. 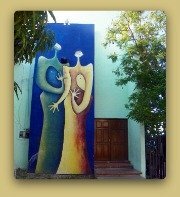 In 2011 when the Federal Government presented a plan to renovate what is called the Art District, the project was presented to the community before it began and everything was planned to reduce the impact of the project on merchants, locals and tourists. 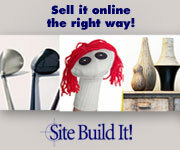 The lessons learned from the square remodeling have definitely helped to the success of this project. 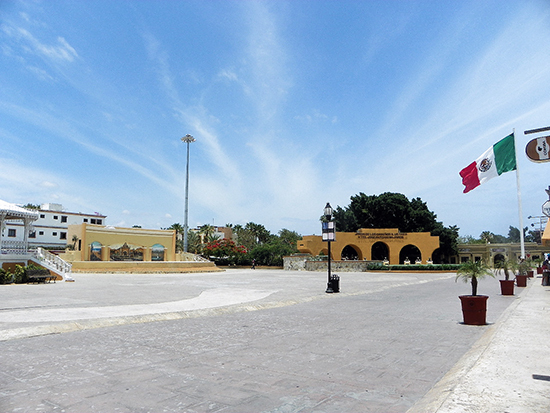 Despite the controversial remodeling, the square is still visited every afternoon by local families that bring their children to play, have an ice cream, buy a balloon or eat some authentic Mexican food in the tamales and tostadas stands behind the fountains. 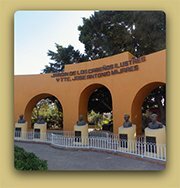 Many special events like dance and music festivals and different holiday celebrations such as the town Patron festivities in March, The Independence Day celebrations in September 16, Day of the Dead altars contest in November and Christmas bazaars in December take place in Mijares square.